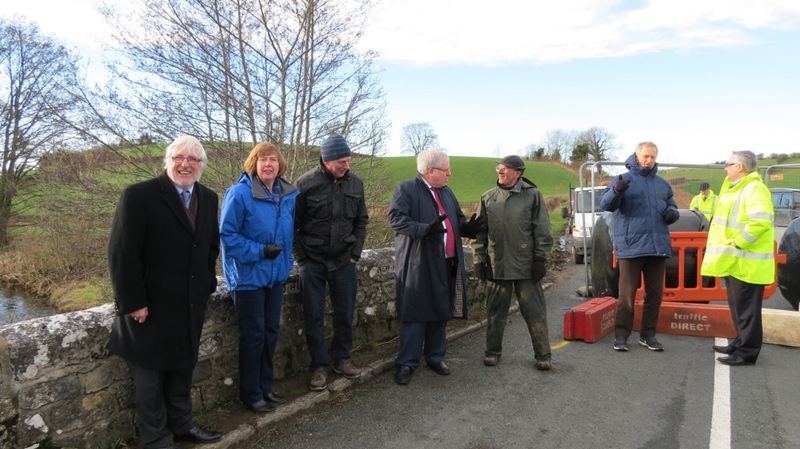 On 14th January the government Minister of Transport, Patrick McLoughlin, visited St Sunday's Bridge with various council officials and highways engineers. 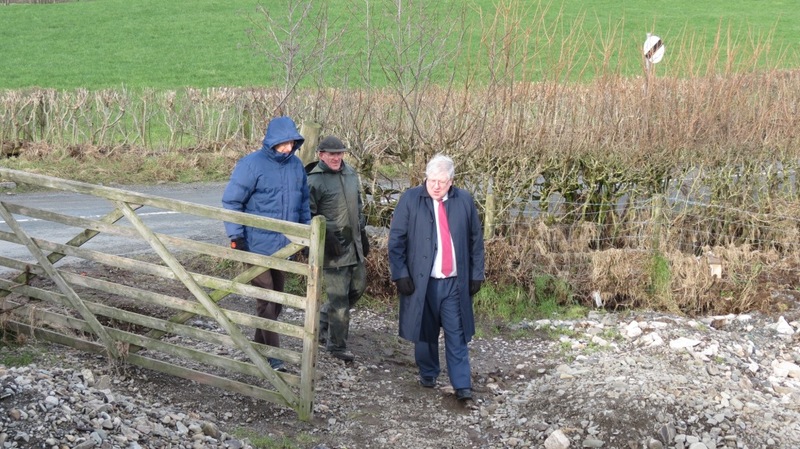 They met members of Old Hutton & Holmescales Parish Council, farmers and others. 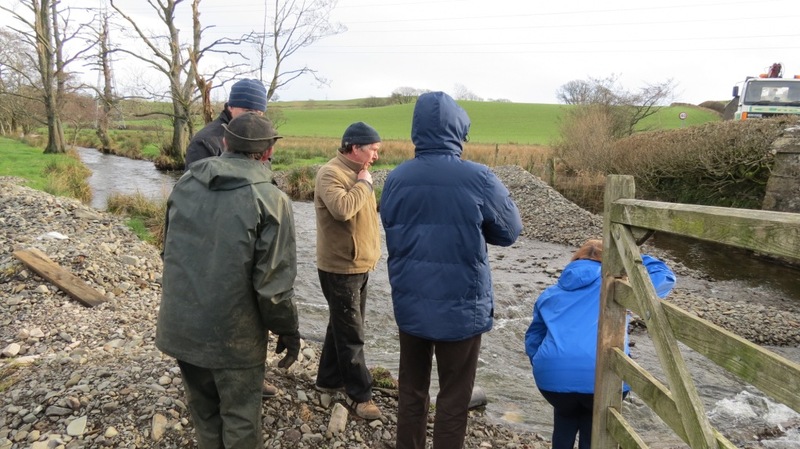 We were assured that the temporary bridge will be in place at the end of next week or the start of the week after. All preparations are going well. It might take up to two years to repair the bridge itself but it will look essentially the same when this has been completed. 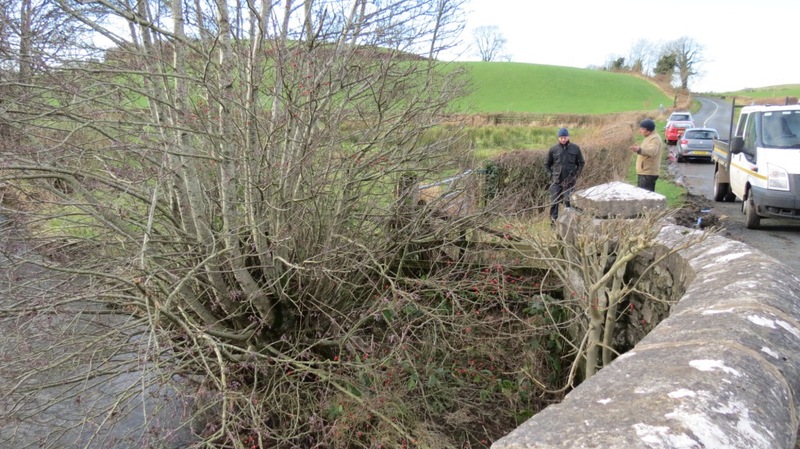 From the road it is difficult to see the damage, which is mainly to the bridge's foundations, which have been undermined by the heavy floodwater. 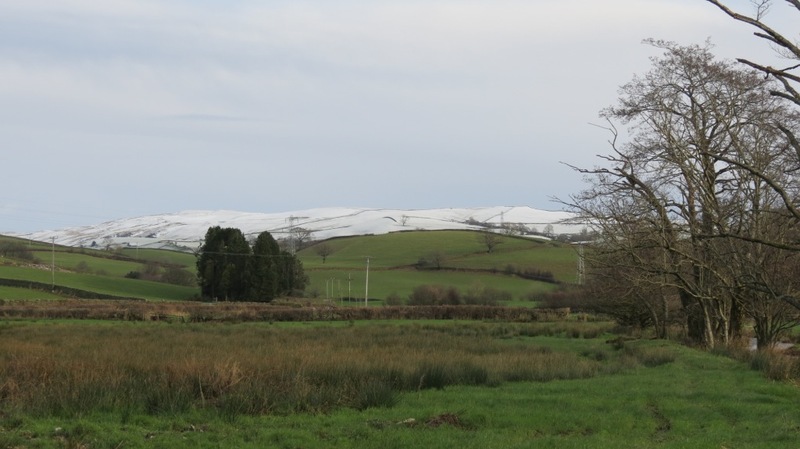 It was a very cold day!